This natural area is often enjoyed by employees of nearby businesses during the lunch hour. Its a great place to watch wildlife and enjoy a peaceful moment. Cattail Chorus is teeming with nature: the habitat supports a high diversity of migrant and resident songbirds and waterfowl; the cottonwoods on the west side of the site are a winter roosting site for great blue herons; and yellow-headed blackbirds nest in the cattails. 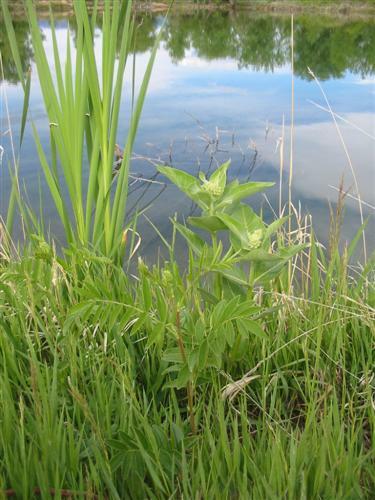 Butterflies, dragonflies, and other tiny creatures flit among the vegetation of the ponds. Watch for a variety of colorful caterpillars crawling on the trail in the spring. This site was acquired with the help of a Great Outdoors Colorado grant. Approximately 0.65 miles of the paved Poudre Trail from Timberline Rd. to the junction of the Spring Creek and Poudre Trails (wheelchair accessible). About 0.5 miles of the Spring Creek and Poudre Trail follow the edges of Cattail Chorus (wheelchair accessible). In addition, a short natural surface trail with fun, family-oriented signage leads to a bench where visitors can watch and listen to a variety of wildlife. Cattail Chorus is an on-trail only site. Located north of Prospect Rd., east of Timberline Rd. Access is typically via the paved Poudre Trail or Spring Creek Trail. Nearest parking is at Prospect Ponds Natural Area or Kingfisher Point Natural Area. Cattail Chorus' approximate address is 745 South Timberline Road, Fort Collins. Customized free educational programs at Cattail Chorus Natural Area are available for groups, call the Master Naturalist Program at 970-224-6118 or email YWNobGVibmlrQGZjZ292LmNvbQ==. Cattail Chorus is adopted by AECOM, thank you for your litter pickup and stewardship! Adopters enhance habitat for wildlife and native plants while increasing fellow visitors' enjoyment. 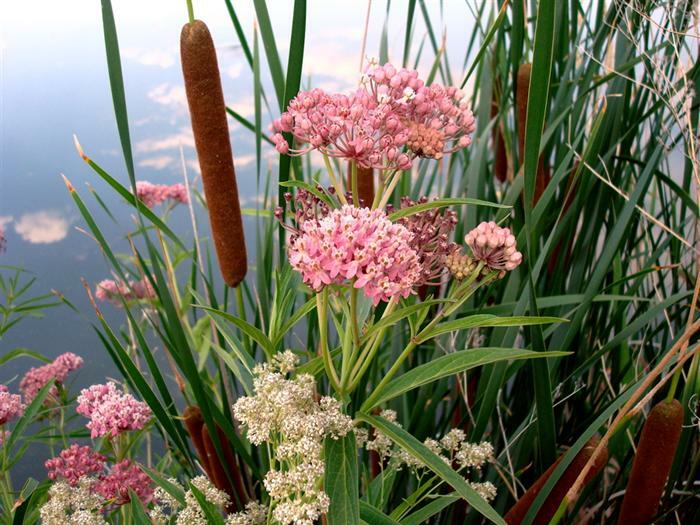 Plant List for Cattail Chorus Natural Area. Volunteers were critical in making the list possible, thank you! Questions or list additions? Please email Y3N0cm91c2VAZmNnb3YuY29t .